The new love for vinyl often fails because the hifi system at home is not fit for the smooth signals of the black disk any more. 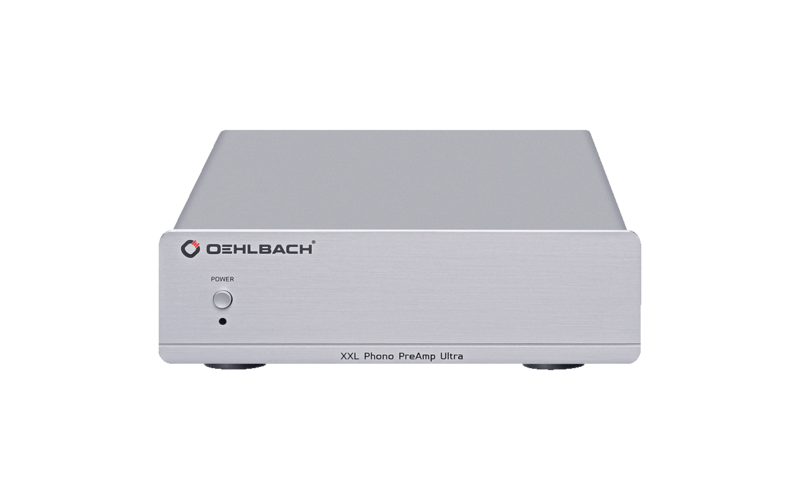 In those cases, a high-end phono preamplifier provides help such as the XXL Phono Preamp Ultra from Oehlbach. It strengthens and equalizes signals from pick-ups in MM and MC technology. The massive casing and high end connections provide long lasting enjoyment of the musical talent which – once set to the scanning system used – doesn’t require and further handling. The minimalistic design fits perfectly well to the other electronic components from Oehlbach.